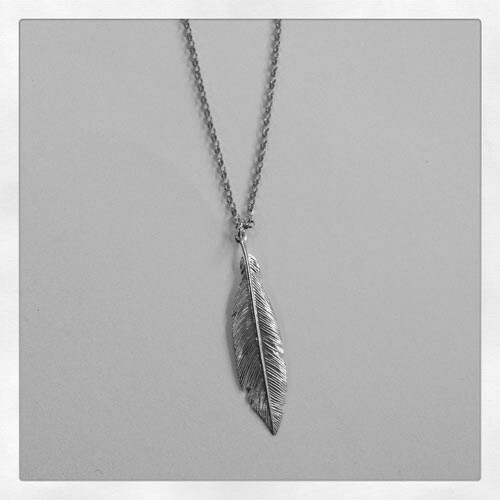 Trendy and stylish silver necklace with feather by Dutch jewelry designer Corina Rietveld. The bracelet is made of rhodium silver. Ideal to complete your outfit and combines well with other silver jewelry. Looking for fine silver jewelry? 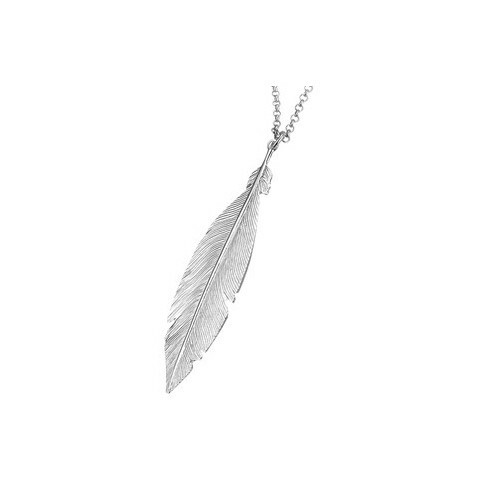 This long silver necklace with feathers by Corina Rietveld is extremely trendy and very feminine thanks to its shape and subtle design. 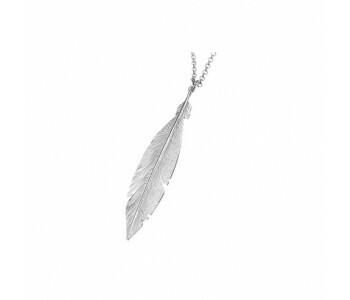 The feather has been designed up to the smallest details, which makes it look natural and realistic. The jewelry is simple, yet fashionable! The length of the necklace is 41 - 44 cm. It has a hook fastening and can easily be adjusted with several adjustment rings. This allows you to wear this piece of jewelry the way you want to. You can endlessly combine this necklace with other jewelry by Corina Rietveld, such as the silver bracelet with feather and the silver earrings with small feathers.